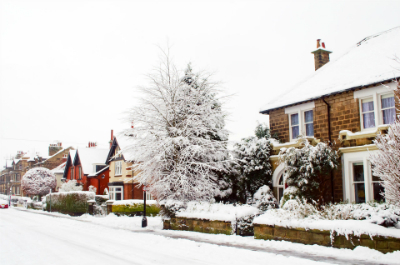 With cold temperatures set to hit the UK over the next few days, cover4insurance is offering the following essential advice to keep your home warm and safe. Leave your central heating running, not on a timer, but at a constant temperature (the coldest time is between 1am and 3am). If possible, leave it running in all rooms. If you know you're going to be away, either leave the heating on, or drain your water and heating systems. If you have a property that is unoccupied, drain the system. To do this, turn off the stopcock, shut down the boiler and open all taps. If you're unsure about the central heating, speak to a plumber. Remember to leave your insurance details with a friend or neighbour. Check the lagging on your pipes and water tank - pay a visit to the loft if you have one. If you have enough constant heating in the house, it will prevent the water tank from freezing. The most likely effect of the sub-zero temperatures in the home will be frozen pipes and water tanks. Bring pets indoors and if you have fish in a pond, leave something floating in the middle of your pond - i.e. a ball - to prevent it freezing over. When you want to get air to them, lift up the ball. Keep a supply of batteries, torches and provisions to hand. If your home loses power, keep the freezer door shut. For information and to obtain quotes visit our home insurance page.